culture, meditation, self-discovery, and ceremony. We believe offering ourselves space to experience life in this connected way offers us the opportunity for self-discovery, brings rich personal experience, moments of beauty, happiness and joy and is sacred time spent on ourselves. This retreat is curated for women to open their hearts to receive rich personal experiences through adventure, creativity, art, culture, yoga, spirit and ceremony. visiting Tulum is a truly mystical and magical experience. we will restore and renew our spirits as we explore the beauty of tulum's Mayan culture and history. 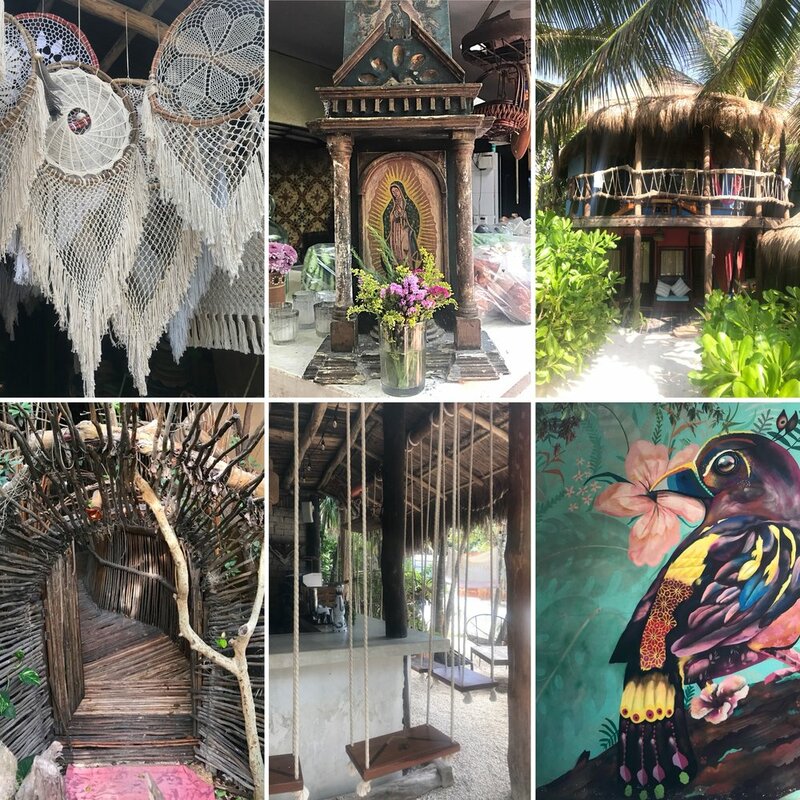 connecting with the wisdom and strengths We all hold within we will cultivate new opportunities for our lives as we create art, rest, experience meaningful friendships and enjoy sacred ceremony, all while lounging steps away from Tulum's crystal clear Caribbean waters. This retreat is curated for women to embrace beautiful life changing experiences through adventure, creativity, art, culture, spirit and ceremony. Fueling our love of adventure and culture we will embrace the spirit and creativity of morocco as we tour the medinas, artisan souks and travel to the essaouira seaside. we will continue our adventure as we journey through the history and sacred art of Indigo Dyeing and create beautiful fabrics on a rooftop Riad in heart of Marrakech. We travel, initially, to lose ourselves; and we travel, next to find ourselves.